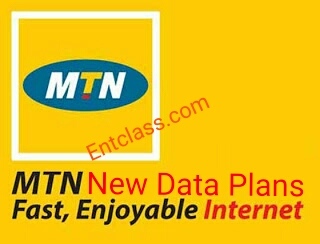 While we are trying to crack new Free browsing tweak on MTN, we wanna use this chance to introduce this new data plans officially launched by Mtn. Many of us must have received the Sms from Mtn, but some are yet to, so am here to break it down to you guys. These plans are a bit cheap if i must say but some will still say it's cost. Anyway, these plans doesn't require any vpn app like zyphon, psiphon, netify, Tweakware etc. And it works on all Internet enabled device, it can also work on pc via hotspot or via universal moderm. Recharge your Mtn line with N1000. Now, Sms 106 to 131 for 1.3GB. Thats all for the first plan. Thats all about the second plan. All are valid for 30days. Now, what do you guys have to say about these new data plans from Mtn? Please tell us how much data we stand to get when we subscribe to the plans. You only told us how to subscribe to the plans and since we don't know what their offer is, we don't know if it's cheap or not! Updated. Kindly Check the post again. Makes you wanna stop using cheat? Lol. You are a big man sir. As for my weekend, am enjoying every bit of it.